OPEN SUN 4/15 1P-3P. Live on "easy street" in this charming low maintenance 2BR/2BA Country Glen villa! Seriously, put your feet up because HOA dues of $178/mo includes landscaping and snow removal for the home, window trim and door painting, bush trimming, grass cutting, leaf cleanup, some mulch, & catastrophe insurance. Hardwood floors were installed by homeowner in kitchen, living room, and dining room in '17. 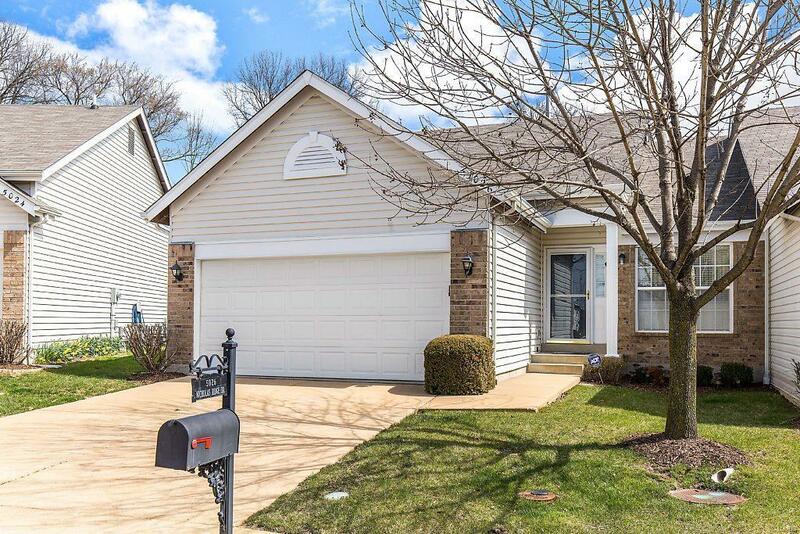 Enjoy pulling into your spacious 2 car garage connected to the home via mudroom/laundry room. Eat-in kitchen features bay windows. Master bedroom suite features a large bedroom & bathroom. Full poured-concrete basement is unfinished but has rough-in for bathroom. The roof was replaced by the association in 2017. Located in the Oakville school district and just a short drive to Sam's Club and more.